Vinyl is officially back in demand, so we are giving you some top vinyl storage tips to help keep your growing collection of records safe, secure and sounding fantastic. Vinyl sales are officially back on the up! You could be forgiven for thinking that ,with the digital age taking over fast, that vinyl records were never going to return. However, they have emerged from the past at a pretty incredible rate, with teenagers embracing vinyl and musicians starting to release their songs on vinyl again. 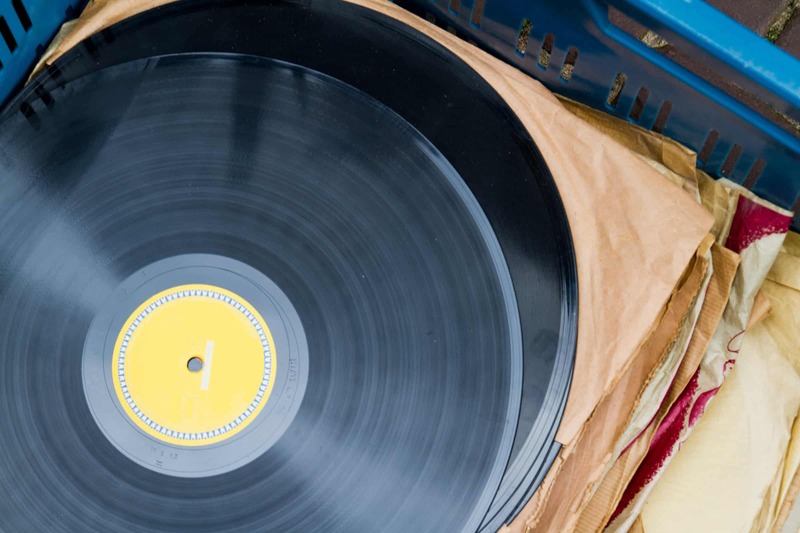 Any debris, dust, grime or dirt that gets on the record will decrease its sound quality. The more you can avoid that getting onto your record the better because once it is on there, you then need to look into specialist cleaning materials to get it off without damaging the record. Lots of common cleaning materials can scratch the record, and lots of cleaning fluid can actively damage the sound quality as well. So basically, as much as possible – keep the records packaged properly. When you buy your record, take off any packaging from the record (so you can play it) but keep the record in its original sleeve (unless it is paper) which was designed to keep it safe. Paper sleeves are the cheapest form of record sleeve and work well short term, but long term they do not work well at all. Over time, these types of sleeves might bend, tear, rip, shred, wear away and even transfer dirt or dust onto your record. They can also leave scratches on the records. Where possible, opt for record sleeves that are poly lined, or that are audiophile grade, especially if you are storing expensive LP’s. The outer sleeve should be preserved because it is as much a part of the records value as the record itself. Some vinyl sleeves with their artwork are iconic. They are also generally easy to bend, tear or rip, especially if they are not stored properly in which case they can damage the record. Plastic jackets for the sleeves are a great idea and they are inexpensive. Think carefully about where you store your records. If you place them in a room or environment where it gets hot, the record will warp. The record and sleeve may also be damaged with direct sunlight. Try to store in a place where the records remain at a constant, moderate temperature. You should avoid horizontal storage because the records may warp. They may also be crushed or damaged from the weight of what is on top of them. Store them vertically in a strong box with a lid.